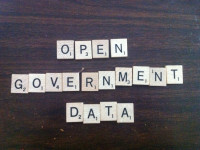 My weekly technology law column (Toronto Star version, homepage version) notes there is much to like about Canada’s open government efforts, which have centred on three pillars: open data, open information, and open dialogue. Given the promise of “greater transparency and accountability, increased citizen engagement, and driving innovation and economic opportunity”, few would criticize the aspirational goals of Canada’s open government efforts. Yet scratch the below the surface of new open data sets and public consultations and it becomes apparent that there is much that open government hides. For most of the past decade, many people concerned with digital rights have used the Internet and social media to raise awareness in the hope that the government might pay closer attention to their views. 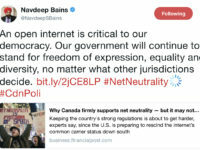 The Canadian experience has provided more than its fair share of success stories from copyright reform to usage based billing to the Vic Toews lawful access bill. Yet in recent weeks, there has been mounting criticism about the government’s tracking of social media. This post provides a partial defence of the government, arguing that it should be tracking social media activity provided it does so for policy-making purposes. The controversy started with news that the Privacy Commissioner of Canada has written to the government to express concern that an increasing number of government institutions are collecting publicly available personal information from social media sites such as Facebook and Twitter. The initial report generated considerable media attention with claims that the activity may violate the Privacy Act (or at least the spirit of the legislation). Last week, Treasury Board President Tony Clement told Jesse Brown that the collection was largely in aggregate form to track public sentiment and that a full review of current practices would be undertaken. However, a later report demonstrated that government officials tracking Bill C-30 (the earlier lawful access bill) did identify specific Twitter users and their tweets (many internal documents I’ve obtained under Access to Information suggest that the Public Safety officials have been exceptionally defensive about lawful access and often seem to drift away from a balanced position).